Business Insider published ads from KAFA, the Lebanese nonprofit that’s sponsoring a campaign against domestic violence. The images depict women who have been hit or strangled. But…. “Words hurt,” read the ads. 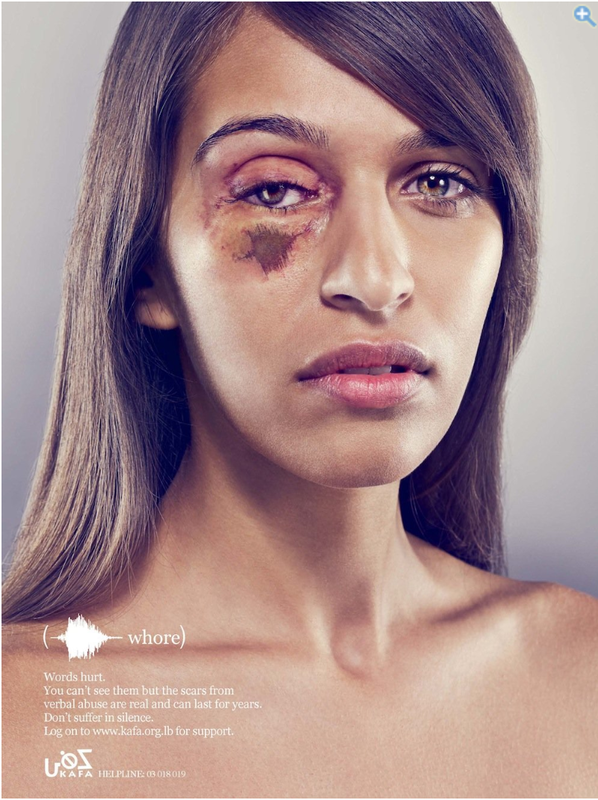 The campaign calls light to the unseen scars left by verbal abuse. KAFA, which translates in Arabic to “enough,” provides a helpline number on each image. According to Business Insider, Y&R Dubai created the ads. For other images from the campaign, check out the article.